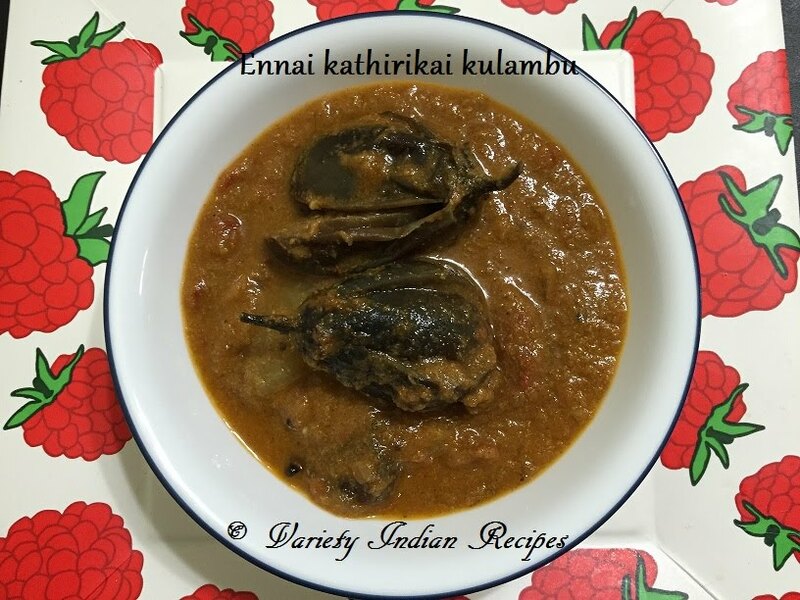 Ennai Kathirikai Kulambu is a traditional south Indian dish prepared with brinjals. In this recipe brinjals are cooked in a spicy tangy sauce giving a delicious flavour. Pour Oil in a pan, roast red chillies,curry leaves,onions. Saute till onions are translucent , add tomatoes and saute until the tomatoes are soft. Turn off flame, add coriander powder and mix well. Cool the above roasted ingredients and grind them with grated coconut. 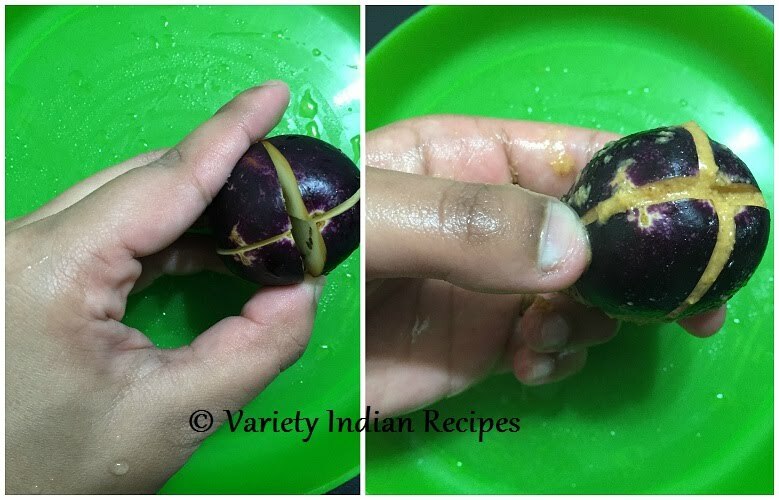 Cut the brinjals as shown in the below picture and stuff the grounded paste into them. Heat 1 table spoon oil in a pan, add the brinjals and saute until the brinjal slightly shrinks and turn slight brown. In the same pan heat some oil, add mustard seeds. Once the mustard seeds splutter, add fenugreek seeds, red chilly and urad dhal and saute for a minute. Add curry leaves and saute. Add the ground paste and saute well. Allow to cook with a closed lid for 5 minutes with frequent stirring. Now add brinjal, 1/2 cup water,salt and allow to boil until the brinjal is tender. Add the tamarind juice and mix. Allow to boil for 5 minutes. Turn off flame and serve hot with rice.